August « 2017 « They Said What? We are shocked, shocked, to learn that opioids are going on in here! August 24, 2017 9:45 am / 6 Comments on We are shocked, shocked, to learn that opioids are going on in here! The #1 problem in the American workforce is not failure to buckle their seat beats. It isn’t taking too few steps. And it certainly isn’t a broccoli deficiency. It is opioid addiction. It would be nice if the wellness industry — which claims to be responsible for the health and wellness of the workforce — could actually do something useful here. But what if an employee didn’t have to self-identify in order to get help? That’s where health literacy comes in. Health literacy is the key to avoidance and (to some degree) treatment of addiction. Understanding the risks of even short-term use of painkillers is critical. Quizzify covers that topic for employees. Since it’s all Q&A and fact-based, there is no need for any employee to disclose anything. Instead they can focus on self-education. An employer or HR Department can see how opioid-literate its workforce is. That assumes that the employer or HR department is itself opioid-literate. For that, we are pleased to offer two free resources. The first is the Quizzify opioid awareness quiz. See how you — as the person in your organization most responsible for the health of your employees — score on this quiz. Then, read and share the Linkedin post: “Seven Shocking Opioid Facts Wellness Professionals Need to Know” . In a resounding but nonetheless surprising victory for harassed employees everywhere, a federal court agreed with the plaintiff, AARP (and every fifth grade English teacher in the country except the ones who taught wellness vendors), that the words “forced” and “voluntary” are not synonyms. 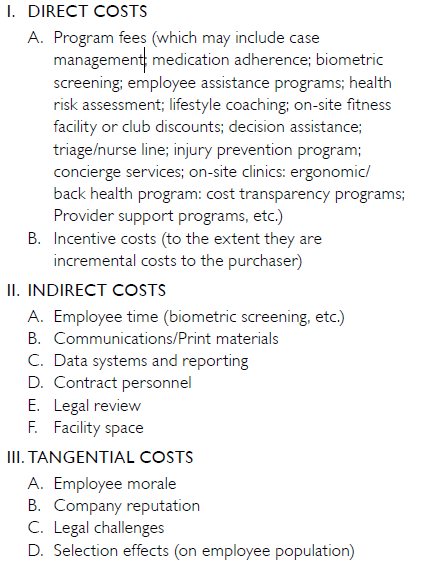 If a wellness vendor (Bravo being the best example) threatens to fine employees or even withhold incentives because the employee refuses to let a vendor screen the stuffing out of them, the vendor can’t hide behind established laws that say wellness programs are voluntary, because they aren’t. Though the EEOC rules are not perfect, they do clarify underlying ambiguities in the law and have helped assure that employees and their families can benefit from these programs that promote their well-being. Not true. Employers may still do whatever they want to promote employee well-being and happiness. They just (possibly, depending on the final rules written by the EEOC to comply with this decision) can’t do what Surviving Workplace Wellness says “pry, poke and prod” vendors excel at, which is to force employees to be happy whether they like it or not. Consider the article in the current issue of BenefitsPro — forwarded to me by many members of the Welligentsia — entitled: “Can the Wellness Industry Live Up to Its Promises?” BenefitsPro rounded up some of the leaders of the wellness industry alt-stupid segment. Specifically, they interviewed US Corporate Wellness, Fitbit, Staywell, and HERO. Each is a perennial candidate for the Deplorables Awards — except US Corporate Wellness, which already secured its place in the Deplorables Hall of Fame (and Why Nobody Believes the Numbers) several years ago with these three paeans to the gods of impossibility. 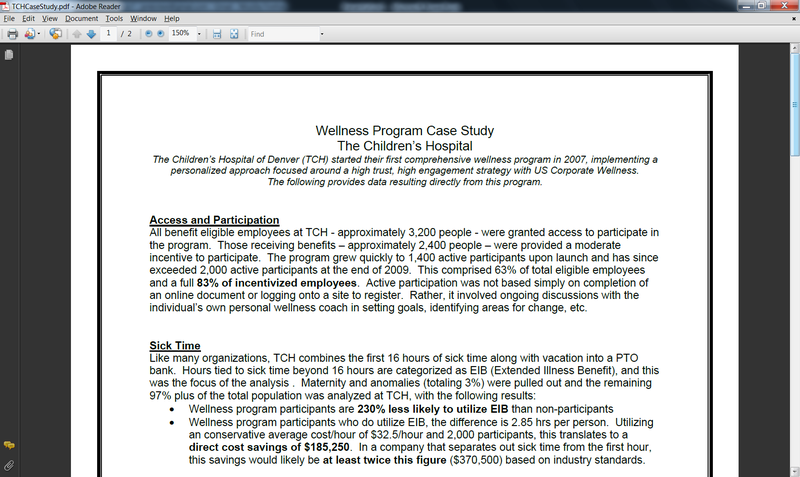 In case you can’t read the key statistic — the first bullet point — it says: “Wellness program participants are 230% less likely to utilize EIB (extended illness benefit) than non-participants.” Here is some news for the Einsteins at US Corporate Wellness: You can’t be 230% less likely to do anything than anybody. For instance, even you, despite your best efforts in these three examples, can’t be 230% less likely to have a triple-digit IQ than the rest of us. Here’s a rule of math for you: a number can only be reduced by 100%. Rules of math tend to be strictly enforced, even in wellness. So the good news is, even in the worst-case scenario, you’re only 100% less likely to have a triple-digit IQ than the rest of us. So assume I spent about $3500/year in healthcare 12 years ago, which is probably accurate. My modifiable risk factors were zero then and they are still zero — no increase. So my healthcare spending should have fallen by $350/year for 12 years, or $4200 since then. But that would be impossible, since I could only reduce my spending by $3500. Do you see how that works now? To his credit, US Corporate Wellness’s CEO, Brad Cooper, is quoted in this article as saying: “Unfortunately some in the industry have exaggerated the savings numbers.” You think? 400% of what? Is US Corporate Wellness saying that, as compared to employees with a chronic disease like hypertension, employees who take their blood pressure pills are 400% more productive? Meaning that if they controlled their blood pressure, waiters could serve 400% more tables, doctors could see 400% more patients, pilots could fly planes 400% faster? Teachers could teach 400% more kids? Customer service recordings could tell us our calls are 400% more important to them? Or maybe wellness vendors could make 400% more impossible claims. That would explain this BenefitsPro article. We have been completely unable to get Fitbit to speak, but BenefitsPro couldn’t get them to shut up. Here is Fitbit’s Amy McDonough: “Measurement of a wellness program is an important part of the planning process.” Indeed it is! It’s vitally important to plan on how to fabricate impossible outcomes to measure, when in reality your product may even lead to weight gain. Here is one thing we know is impossible: you can’t achieve a 58% reduction in healthcare expenses through behavior change — especially if (as in the 133 patients they tracked in one of their studies) behavior didn’t actually change. I’ll consider these two outfits together because people seem to bounce back and forth between them. Jessica Grossmeier is one such person. Jessica became the Neil Armstrong of impossible wellness outcomes way back in 2013. Not just any old impossible wellness outcomes — those have been around for decades. She and Staywell pioneered the concept of claiming outcomes they already knew were impossible. While at Staywell, she and her co-conspirators told British Petroleum they had saved about $17,000 per risk factor reduced. So, yes, according to Staywell, anyone who temporarily lost a little weight saved BP $17,000 — enough to clean up about 1000 gallons of oil spilled from Deepwater Horizon. See British Petroleum’s Wellness Program Is Spewing Invalidity for the details. Leave aside both the obvious impossibility of this claim, and also the mathematical impossibility of this claim given that employers only actually spend about $6000/person on healthcare. Jessica’s breakthrough was to also ignore the fact that this $17,000/risk factor savings figure exceeds by 100 times what her very own article claims in savings. Not by 100 percent. By 100 times. The conversation has thus shifted from a focus on ROI alone to a broader value proposition that includes both the tangible and intangible benefits of improved worker health and well-being. They also hold the distinction of being the first vendor (actually their consultant) to try to bribe me to stop pointing out how impossible their outcomes were. They were upset because I profiled them in the Wall Street Journal . The article is behind a paywall, so you probably can’t see it. Here’s the spoiler: they allegedly saved a whopping $53,000 for every risk factor reduced. In your face, Staywell! Finally, here is a news flash for Interactive Health: sitting is not the new smoking. If anything is the “new smoking,” it’s opioid addiction, which has reached epidemic proportions in the workforce while being totally, utterly, completely, negligently, mind-blowingly, Sergeant Shultz-ily, ignored by Interactive Health and the rest of the wellness industry. There is nothing funny about opioid addiction and the wellness industry’s failure to address it, a topic for a future blog post. The only impossibility is that it is impossible to believe that an entire industry charged with what Jessica Grossmeier calls “worker health and well-being” could have allowed this to happen. Alas, happen it did. And, as you can see from the time-stamp on this post, except at establishments favored by the Wellness Ignorati, breakfast hasn’t even been served yet. Normally we draw a bright line between Quizzify and TSW. However, today we are going to re-blog from Quizzify, because of the importance of the hazard of tick-borne illness to about a third of the residents of the US. Like the opioid epidemic, tick-borne illness is a far greater hazard than obesity or cholesterol or not taking enough steps. This summer, the odds of an employee getting Lyme Disease, in the mid-Atlantic and Northeast, are probably 5-10 times the odds of an employee having a heart attack. (I won’t bore — or, in the case of Interactive Health, confuse — anyone with the relative incidence rates, but the numbers add up.) 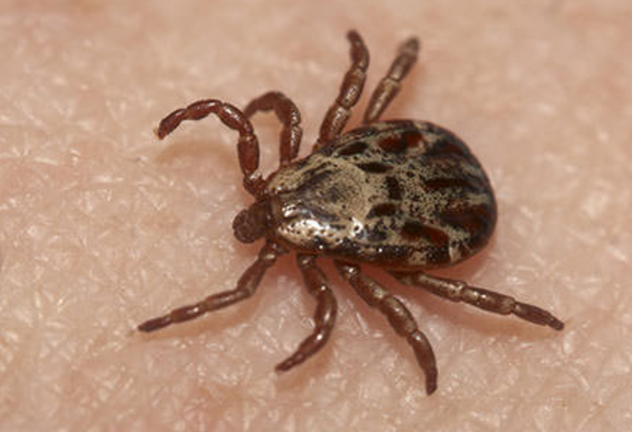 There are also other tick-borne illnesses — 15 of them — in the other 38 states as well, but not yet in epidemic proportions. And while my $2-million reward supports the proven observation that heart attacks are about 0% preventable with “pry, poke and prod” programs, tick-borne illness should be 100% preventable by following a few self-evident rules…and one not-so-self-evident rule. 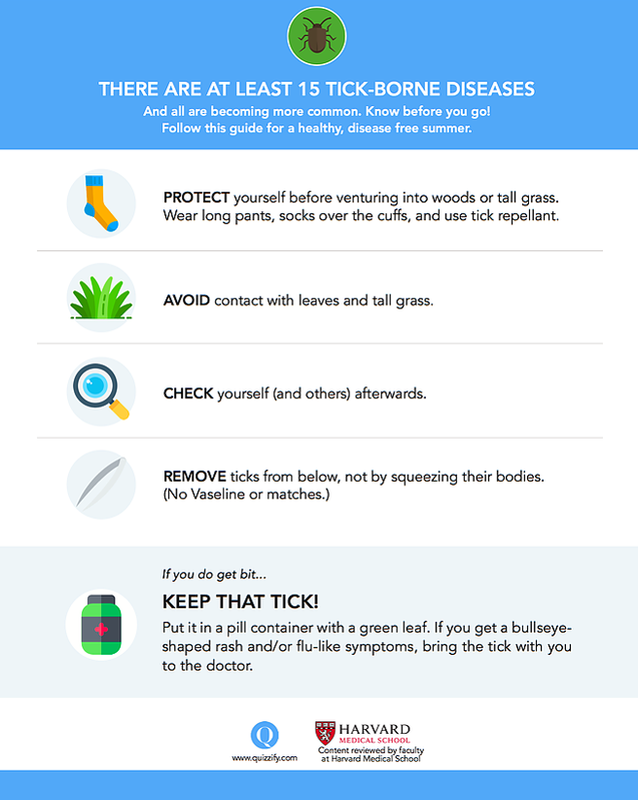 We’d urge everyone in states where ticks are an issue to read the blog post, post the downloadable infographic in break rooms, and educate their employees generally. We are now in high-tick season so it is important to do it soon. The following was proposed as a comment to my posting on the article The Outcomes, Economics and Ethics of the Workplace Wellness Industry. This response needs to be anonymous because the person who posted it actually works for a large employer and can’t represent the employer. I thought it was important enough to merit its own posting. On its surface, who can argue with the concept of workplace wellness? How could there be anything wrong with corporations helping their employees reduce their risk of disease while saving money in the process? 2) As a culture, we have convinced ourselves “more is better”. So vendors have an easy sell—let’s do more testing, more HRAs, more surveys…because it will give better results. (Al) See this article on the Arkansas state program. Wellness isn’t working so the state benefits director wants to do more of it. It’s not “robust enough” now, he says. 3) People don’t ask questions, they don’t take the time to understand or study the facts as outlined in your overview of ACA/Safeway, Harvard Study, HERO, etc. 4) For years no new studies show savings that can be independently verified. You’ve pointed this out before and no vendor is willing to attempt to claim your $2-million reward. You also noted…For the last seven years, no peer-reviewed article in a major journal has found that wellness programs lead to substantial risk reduction. (Al) If the situation were reversed — and I dare them — I would (under the same rules as my reward) claim it in a heartbeat. 5) No vendor ROI savings/metric methodology standard. Vendors don’t want to be held accountable and most employers don’t care/don’t understand or just want to put a program in place to feel good. Similar to your experiences with vendors, I have felt others view me as an obstructionist or negative because I ask too many questions or point out their program doesn’t/didn’t provide savings. Unfortunately, I don’t see the industry changing because wellness is an easy product to sell to employers that don’t ask hard questions. Maybe we’ll see some type of regulations to help in this area. 6) I hope the good vendors mentioned at the end of your article/Validation Institute members begin publishing their results that demonstrate an independent verified ROI that the industry will want to follow (become the standard). I would suggest you explore more discussion on these vendors so employers might look to them for help. (Al) Will do, though my positive postings don’t get remotely as many hits as my exposes. Also one reason they get validated is they don’t fabricate ROIs. Al, I appreciate your insight and oversight in this industry. Thanks for sharing your time and expertise.